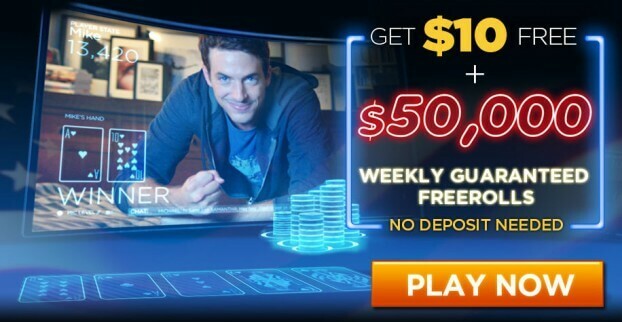 888Poker which operates the All American Poker Network in the State of New Jersey has been aggressively promoting through email blasts lately. 888Poker is currently the 3rd largest site in New Jersey behind Party/Borgata & WSOP respectively. 888Poker currently has a 24 hour peak cash game player base of 247 according to PokerScout.com. It definitely seems that these promotions are working to some degree as on January 1st 888Poker had a 24 hour peak of 219. This is hands down one of the biggest promotions for players in the State of New Jersey, no other operator is offering anything close to this through their VIP program. It doesn’t get much bigger than this – 80% Rakeback on all cash games through May! Simply wager $500 or more on cash games during a single day between January 15-31 and you’ll get 80% rakeback on every cash game until May 2014. But be sure to check your emails – every Sunday we’ll email you a link to claim your weekly rakeback amount. Hurry – to get 80% rakeback until May, you have to play by January 31st. .
Players will earn 80% rakeback on all cash games that they sit at and in order to qualify a player will need to wager over $500 on cash games in a single day between January 15 – 31. At that point a players account will start to earn 80% rakeback until May 2014. 888Poker will email all players each Sunday with their weekly rakeback amount with a link to claim the rakeback. It will be interesting to see if any of the other operators in New Jersey respond with a similar promotion. Almost all of them have VIP programs in place but none of them will come close to paying 80% rakeback.